Celebrate That Special Someone in a Big Way with a Unique and Meaningful 50th Birthday Gift: A Custom Hand-Painted Portrait. Midlife birthdays are certainly an occasion to be celebrated—especially 50th birthdays! 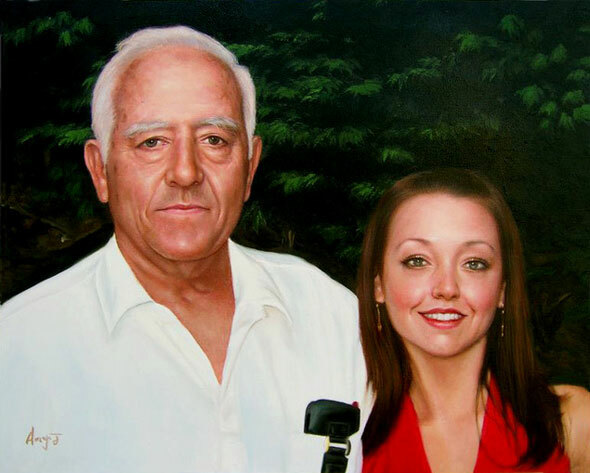 Show a friend or family member who is ringing in 50 years what he or she means to you with a custom hand-painted portrait. Whether it be a family group shot, couples shot, or a solo portrait, our talented artists will turn any photo you submit into a truly special and artistic 50th birthday gift for your loved one. Seeing the look of delight on his or her face will be a memory you’ll never forget! "We were absolutely thrilled with our experience with Paintyourlife! My wife absolutely loves the painting and it has provided a beautiful memory of a cherished pet that we miss deeply. Somehow, this painting made that loss a little easier. Thank you! " 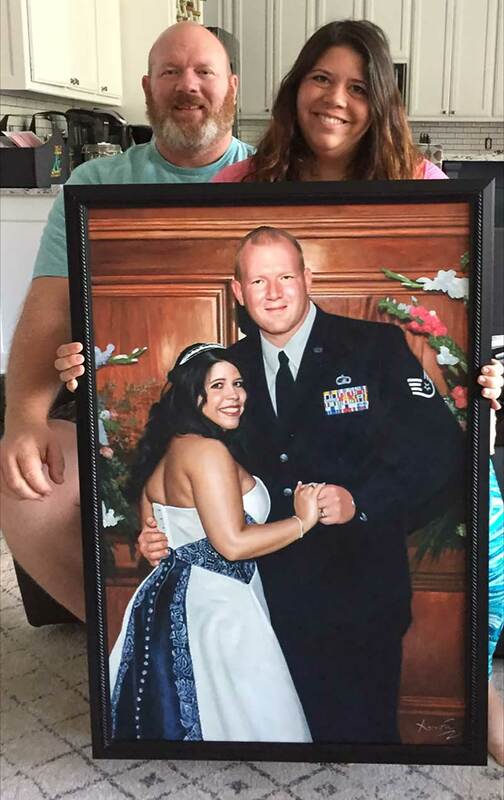 "My husband and I were married 12 years ago, and we have regretted not buying a wedding portrait to hang in our..."
"My husband and I were married 12 years ago, and we have regretted not buying a wedding portrait to hang in our house. I found an ad for paintyourlife.com on Facebook and thought it would be a wonderful anniversary present for my husband. The process was simple and easy the entire way. I sent in 3 photos and let the artist choose the best one. Of course, I was able to view the proof beforehand. I received a picture half way through and my excitement was building! When the final proof was emailed to be approved, I was elated! It looked so much like the photo but also like a painting! The artist captured our happiness from the day perfectly! My husband and I are so excited with the final product! We have been shouting your praises all over Facebook! We hung it on our wall immediately! I took a chance with Paint Your Life and I am so happy I did! It's wonderful to see a wedding picture in our house after 12 years! Kudos to our amazing artist, Aaron! Thank you so much!!!"